REDUCED $10,000 & PRICED TO SELL! CONVENIENT LOCATION! LOVELY NEIGHBORHOOD! BEAUTIFUL 1-ACRE LOT! LIKE-NEW HOME! TOP-RANKED SHOOLS! GREAT PRICE! 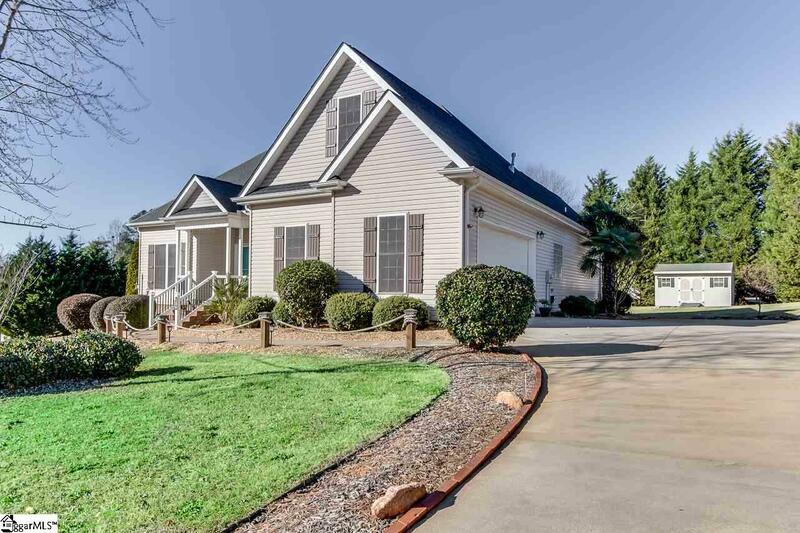 LOCATED in one of GREENVILLES "bedroom communities, this prime property has easy access also to the CLEMSON, ANDERSON and LAKE areas via I-85 and other smaller highways to make all these areas convenient for work and pleasure! Stone Meadows is a LOVELY SMALL NEIGHBORHOOD of QUALITY-BUILT homes by local builders, with features such as crawl spaces, extensive moldings, spacious porches front and back, and other features not found in much of todays new construction. This NEARLY 1-ACRE LOT (.92 AC) is "picture-perfect, landscaped for easy-care and maintained to perfection with trees, beds and designs rarely seen, including easy-care tropical trees/plants, privacy hedges, exceptional borders and more! While the front yard is a perfect setting for this lovely home, the back yard is a special "private place, with the covered back porch and the additional patio, protected by small trees giving owners their very own oasis in their backyard. The ONE-OWNER HOME (approximately 2000 SF) has as well been well-maintained to perfection inside and out! You will be happy to claim this home as your own due to all the attractive updated features setting this one apart from all others. 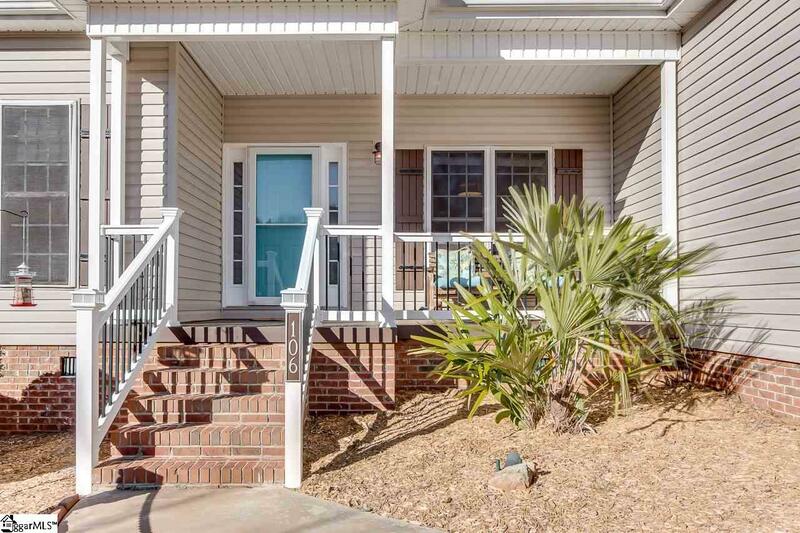 The wonderful curb appeal begins with the side-entry garage (oversized), the custom-crafted exterior cedar shutters and the rocking-chair front porch with composite decking and maintenance-free railings with black metal pickets. 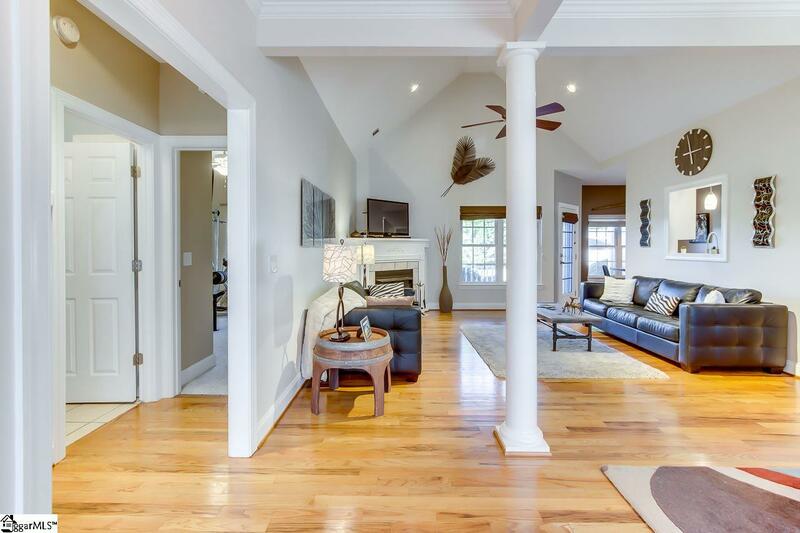 You will be equally impressed when you step inside this lovely home, showcasing the open floor plan with soaring ceiling in the Family Room and trey ceiling in the Dining Room! The floor plan itself is an all-time desirable one, with 3 Bedrooms and 2 full Bathrooms on the 1st floor and the Bonus Room on the upper level, affording perfect living quarters for all family/age demographics. Additional desirable features include: hardwood flooring in all main living areas, 9-foot ceilings, instant hot-water system in bathrooms and kitchen, smooth ceilings, gas-log fireplace, exquisite custom blinds, great walk-in storage from the Bonus Room and more. The Master Bedroom Suite includes rustic cedar crown molding, jetted tub, separate shower, double-sink vanity, ceramic tile and a walk-in closet. More recent updates include: new dishwasher, new hot water tank, new front porch, new backsplash and under-cabinet lighting in kitchen. There is also a nice nearly-new storage building out back which will remain. (Seller plans to install new HVAC prior to closing with acceptable offer...must be stated in contract.). This home is most definitely ready for some lucky buyer to move right into and start enjoying! 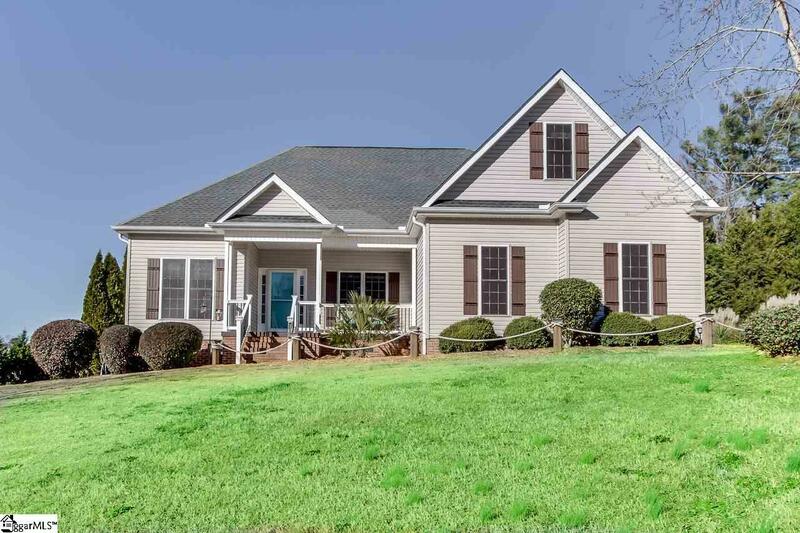 LOCATED in one of the MOST DESIRABLE SCHOOL SYSTEMS in the UPSTATE, the new owners will certainly want this for their children and even for re-sale!!! All of the above-features of this property make it a GREAT BUY at $300,000! If SF is important to buyer, buyer must verify. Listing provided courtesy of Britt Brandt of Keller Williams Grv Upst.